Guwahati: Well-known surgeon Dr Ilias Ali, who became a household name for his success in popularizing vasectomy in Assam, has been invited by a Florida-based international organisation to spread the message of population control in African countries. Ali would be a part of No Scalpel Vasectomy International’s (NSVI) mission in African countries to check population. “It’s an honour for me to spread the message of population control for a better world in African countries. I hope my initiative would help reduce birth rate,” Ali told Seven Sisters Post, before leaving for Nairobi via Mumbai on Tuesday. 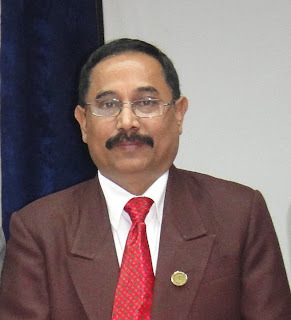 Ali, who is a professor of surgery and head of the department of Emergency Medicine and Trauma Centre of Gauhati Medical College Hospital, has been working as a state expert and nodal officer of No Scalpel Vasectomy (NSV) since January 2009. Ali would participate in various programmes in Kenya and its neighbouring countries during his stay in Africa from May 9 to 17. “Being an accomplished, committed and experienced NSV surgeon in Assam, I am confident that NSVI and the people of Kenya would benefit from your participation”, Dr Ramon U Suarez, the president of NSVI stated in the invitation letter to Ali.